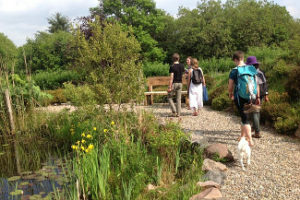 Come and join Emily McCullagh, experienced Art Therapist and nature connection facilitator, at Crann Og Ecofarm Co. Galway, for two days of creative exploration in a pristine environment. 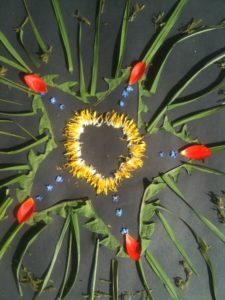 Using art therapy with natural materials and yoga, we will be exp loring our connection to the wild part of ourselves. This weekend will focus on using natural materials and found objects to create sculptures, assemblies and installations in the natural environment. There will also be traditional drawing and painting materials at hand. It is not so much about learning artistic techniques as exploring personal meaning through interaction with the materials and the natural world. 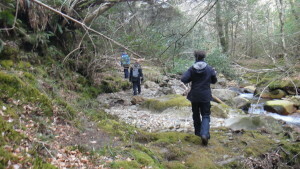 Bring a camera if you want to record your work as we like the ethic of leave no trace. There will be opportunity to share you artwork’s meaning with others and this is completely your choice. Includes one night accommodation, and all meals, materials and classes. Crannog eco farm is a gold certified ecotourism destination with full vegetarian catering. Come along for some forest fun, reconnection to self and to nature. We’ll be doing some nature connection activities and making some art from found objects. Email me to secure a place. emily@weboflife.ie.